Weigelia might have a bit of an off-beat pedigree, but he was a stone cold runner and he has sired nothing but the same in his limited opportunities as basically a house stallion at WynOaks Farm in Pennsylvania — we believe he will make a fantastic first partner for Kuznetsov in the latest Housatonic Recommended Mating. At this point, Weigelia has pretty much made his own pedigree. After winning 13 of 48 starts from 2- through 7-years-old, including the Grade 3 Kenny Noe Jr. Handicap and the Grade 3 Carry Back Stakes plus an additional half-dozen dirt stakes races — not to mention setting new course records on the turf at both Belmont and Monmouth — Weigelia has now sired 113 foals aged 3 and up, of which 92 have started and 63 have won, including seven stakes winners (good for 6.2% of his foals). His starters have earned an average of more than $81,000, and his 1.50 AEI compared to a 1.02 CI demonstrates that he’s doing it on his own without much help at all from his mares. He also had a bit of a commercial coming-out party with his sales yearlings in 2018, as six of them averaged over $18,000 off of his $3,500 advertised stud fee. In Kuznetsov, Weigelia gets a mate who was also at her best sprinting, as she broke her maiden wire-to-wire at 5-1/2 furlongs on the Laurel turf course. 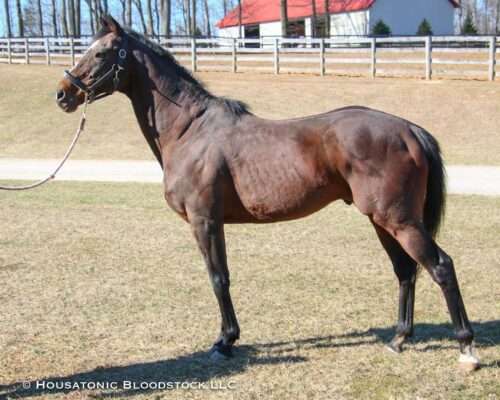 She came by this ability honestly, as she is sired by Maryland’s current leading stallion, Great Notion, who was himself a sprinter on the track and is predominantly a speed influence at stud. Kuznetsov is also a half-sister to the stakes-placed sprinters Change of Seasons and Oldies But Goodies, and her second dam Special Kell was a stakes-winning sprinter, too. Although Kuznetsov’s female family hasn’t yet been tried with Weigelia, there are no fewer than six black-type performers under her third dam that are sired by Partner’s Hero, a 3/4-brother to Weigelia’s sire Safely’s Mark. These six include the stakes winner Partners Due, who is out of a Two Punch dam, and Two Punch is Kuznetsov’s broodmare sire. Additionally, another Partner’s Hero filly from this family, What Am I Gonna Do, is the dam of multiple stakes winner Great Soul (by Kuznetsov’s sire Great Notion) and that one’s full-brother who brought $120,000 at the 2018 Timonium yearling sale. So this is a blend of bloodlines that has already worked repeatedly, and we think that Weigelia’s speed and hard-knocking tendencies will perfectly compliment Kuznetsov’s own attributes. Not to mention that we always prefer to breed a young mare to a proven stallion when possible, in order to give her the best chance to hit the ground running in her reproductive career.